Bob and J.C. Andrews. 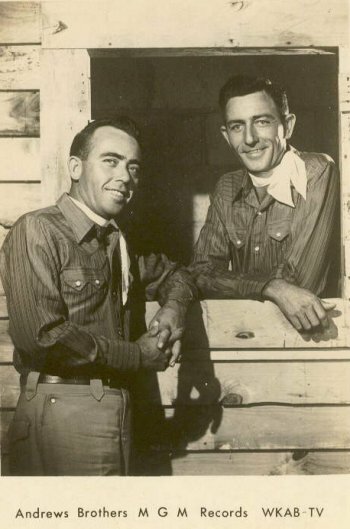 Both were born in Clarke County, Ala., Bob in 1920 and J.C. in 1915. J.C. died in 1993. Bob was the father of Bill & Peewee, who recorded for Halco.